« Kenneth Heilfron, new Ticket to Ride World Champion! A brand new Small World expansion – A Spider’s Web; along with an expansion previously only available as part of the Small World 2 Kickstarter campaign – Royal Bonus; just hit retail stores in Europe; and are expected to be available throughout North America on Dec 3. At the same time, both The Necromancer Island and Leaders expansions, which have been out of print for years, come back through game stores. 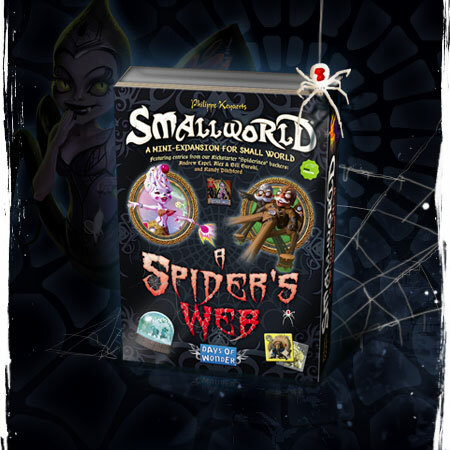 A Spider’s Web features entries from Andrew Capel, Alex and Bill Gurski, and Randy Pitchford, “Spiderine” backers from the Small World 2 Kickstarter campaign. It contains 3 new Races: Ice Witches, Skags and Slingmen; as well as 3 new Special Power badges: Copycat, Lava and Soul-Touch. This expansion comes complete with a plastic storage tray designed to store all the badges and tokens from A Spider’s Web, plus it includes room for all the additional recent Small World expansions. Retail Price is $15/€14. 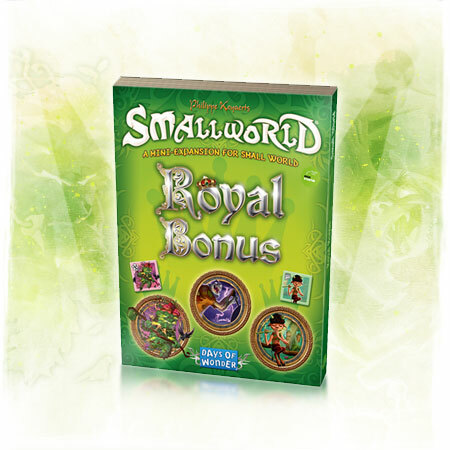 The Royal Bonus expansion was previously available only to backers of the Small World 2 digital version of the game. It includes 3 new Race banners and tokens (Fauns, Igors & Shrubmen) and 3 new Special Power badges (Fireball, Aquatic & Behemoth). Retail Price is $12/€10. 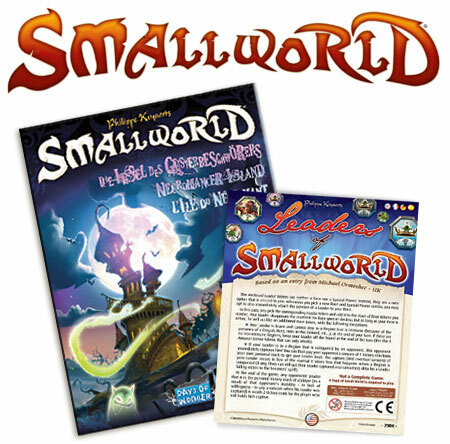 Small World fans get another treat as Necromancer Island and Leaders, two additional micro-expansions for Small World that have been long out of print have been reprinted and are now available for $6/€5. All those expansions are now available from the Days of Wonder webstore and better games stores in Europe. Order your copies now! This entry was posted on Tuesday, November 25th, 2014 at 10:43 and is filed under Games, News, Small World. You can follow any responses to this entry through the RSS 2.0 feed. Both comments and pings are currently closed. Gamers rejoice! ‘Tis a good day when one of our favorite games gets a long awaited expansion! i wonder if this will be abailable for the ipad version of the game. Malaysia is not in the list of countries when I try to preorder these expansions. There has been an additional shipping delay and A Spider’s Web won’t be available until Dec. 10. Sorry for the delays. Will “Royal Bonus” not be available until the 10th then as well?